Prague Wedding Photos: destination wedding of Katie + Michael who traveled down from the UK for their beautiful Vrtba Garden / Vrtbovska Zahrada wedding. Photograph of Katie & Michael with their family & friends who wrote their best wishes on cards with balloons that they plan to release atop the Charles Bridge. 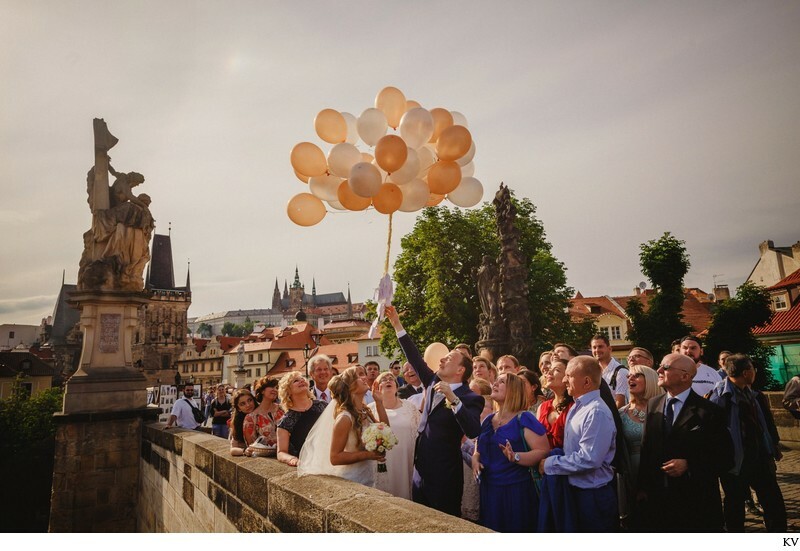 Keywords: balloons (6), Charles Bridge (264), Prague Castle (297), Prague Wedding Day Photos (420), Skyline (3), wedding guests (3), Wedding party (9).